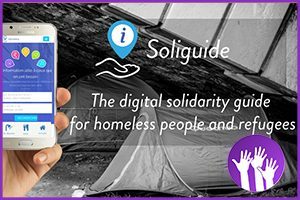 Soliguide is a multimodal platform providing homeless people and refugees with helpful information. Where can I eat? Shower? Wash my clothes? Get social welfare? These are just some of the questions that worry homeless people and refugees on the streets of Paris and elsewhere. Soliguide is comprised of a huge database linked to a website, mapping over 4600 structures in three large French cities, a future mobile app, and interactive kiosks that are available directly on the street in order to help orientate hundreds of people, saving time and social services for acute problems. As an App, it also permits non-homeless people to advise on what is available. 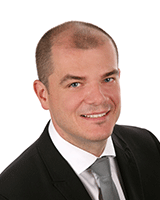 Soliguide is sustainable and capable of infinite expansion across Europe and beyond. It provides choice, and hence self-respect, to diverse yet disadvantaged groups of people. It is easy to use and its graphics are appealing. Local content can easily be added to its robust, flexible and effective structure. Soliguide has immense social value. Soliguide is an application designed to improve the quality of information available to homeless people in cities. In each large city there is often a range of facilities open to homeless people, but there are limited ways in which a person who is not connected to traditional information networks can see on a map where (s)he can, for instance, shower, sleep safely, eat or drink. Soliguide fills this gap admirably. As an App, it permits non-homeless people to advise on what is available. Since homeless people themselves rarely have mobile phones, it is also available in booths in public places in Paris and Bordeaux, and shortly in Nantes. “To learn from the team about how they build and grow the Soliguide platform, was an amazing experience for me. The team is doing an excellent job by giving homeless people a platform that they can easily access and where they can find a kind of digital shelter. For me personally it is exciting how engaged the team has designed and build the platform to bring society closer together with homeless people and support the very important integration process. The intuitive framework supports already thousands of homeless people, by mapping 3600 structures and useful information on the platform. This is a great contribution to society and will definitely heavily support the people that need our help the most. Clear structured information takes away hurdles of onboarding people on digital platforms and burden of gathering the needed information. 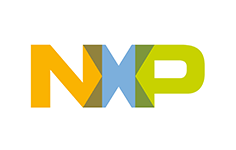 As one of the leading pioneers for the use of technologies to make life easier, we are truly excited to see this initiative taking off!